Do you want to buy HDPE Pipe Welding Machine? 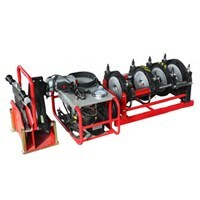 APAKAH ANDA SUPPLIER HDPE Pipe Welding Machine? MESIN PENYAMBUNG PIPA HDPE, FITTING HDPE, PIPA HDPE DENGAN PRODUCT TERPERCAYA DARI CHINA YAITU WUXI SHENGDA, PRODUCT WUXI SHENGDA YANG BIASA DIGUNAKAN PARA KONTRAKTOR & SEAKAN MENJADI STANDAR KUALITAS KELAS KONTRAKTOR PIPA HDPE DI INDONESIA. Is your Company engaged in selling HDPE Pipe Welding Machine to Indonesia. Please Register your company here.